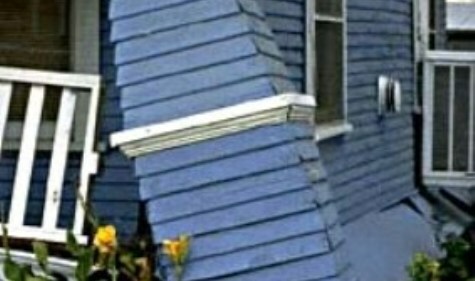 Earthquakes can be so strong they knock houses and buildings off their foundation. Ontario is susceptible to earthquakes, settlement of alluvial deposits that underlie the region, and subsidence caused by rapid withdrawal of groundwater. In order for the City to thrive and continue to attract investment, residents and investors need assurance that the City is prepared for and will effectively deal with seismic and geologic hazards. Minimized risk of injury, loss of life, property damage and economic and social disruption caused by earthquake-induced and other geologic hazards. Implementation of Regulations and Standards. We require that all new habitable structures be designed in accordance with the most recent California Building Code adopted by the City, including provisions regarding lateral forces and grading. Entitlement and Permitting Process. We follow state guidelines and the California Building Code to determine when development proposals must conduct geotechnical and geological investigations. Continual Update of Technical Information. We maintain up-to-date California Geological Survey seismic hazard maps. Seismically Vulnerable Structures. We conform to state law regarding unreinforced masonry structures.